What is cultural appropriation and what can we do in the live performance industry to treat different cultures with respect? 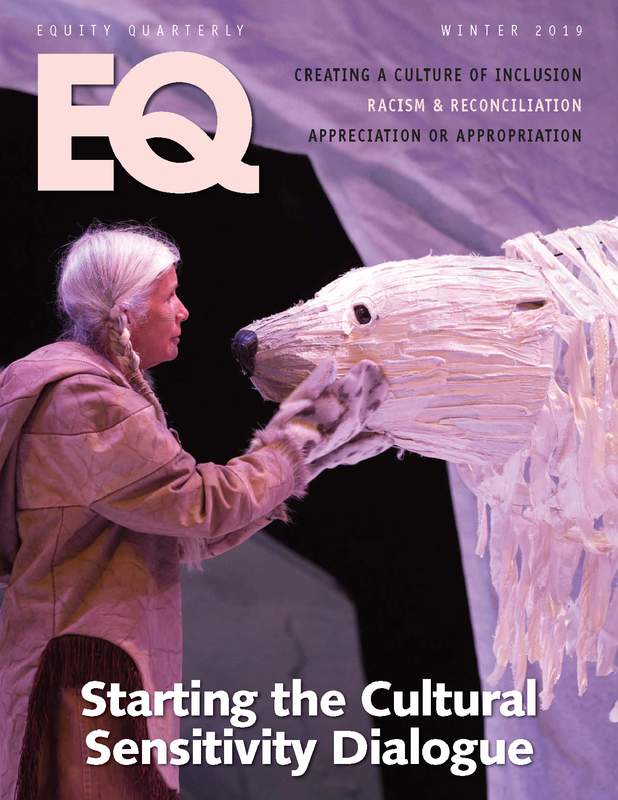 Find out what we need to do to get this important conversation started from an expert on Indigeneity, cultural appropriation and reconciliation – and learn what Equity members across the country are doing to ensure diverse artists are having the opportunity to tell their own stories. Also in this issue – everything you ever wanted to know about your member benefits and services. 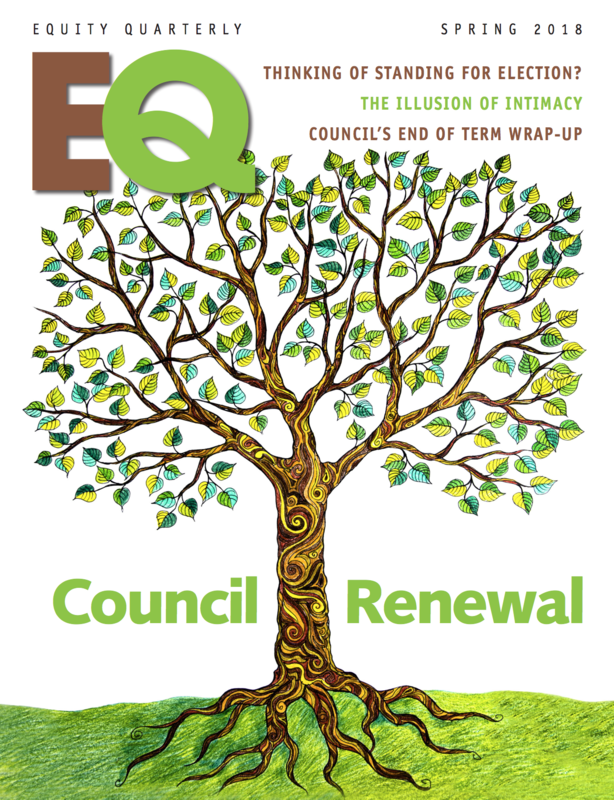 Spring is finally here - and this issue of EQ is dedicated to regrowth and renewal. You'll find a recap of the work Equity Council has been doing over the past three years, as well as a look ahead to the new directions Equity will be moving in to make working conditions and opportunities better for members. Also in this issue - an introduction into the emerging field of intimacy directing. This specialized field makes intimate scenes on stage not only better - but safer. What propels artists to perform alone on stage with only the audience as their scene partner? Equity members share the trials and tribulations of solo performances, as well as the process of bringing a one-person show to life. 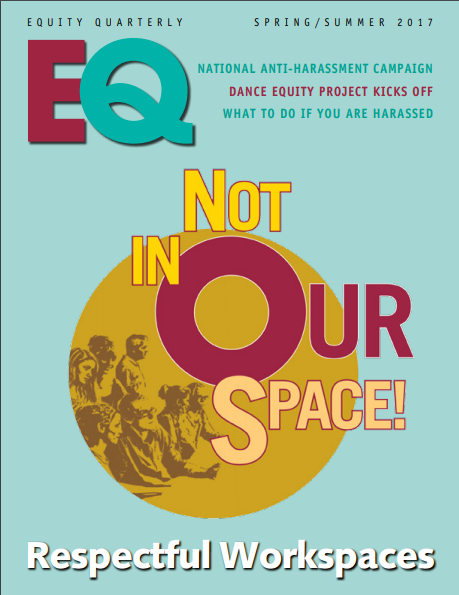 Also in this issue, reflections on the Equity Census, more information on Not In OUR Space!, Equity's campaign to change our industry's culture and stop harassment in the workplace, and a chance to get caught up on Equity news. Not In OUR Space! Live performance artists work in shared spaces where their actions affect those around them. 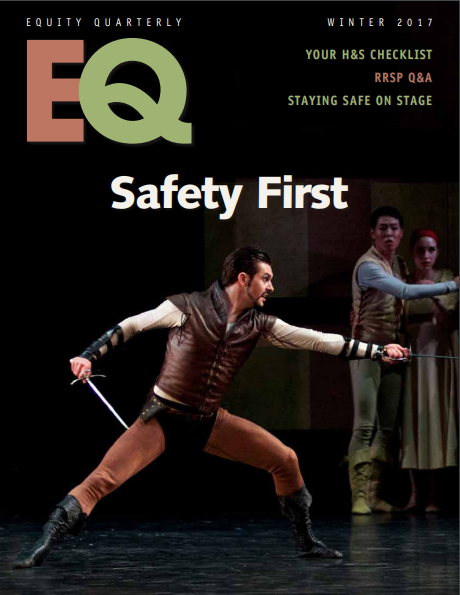 EQ explores what happens when inappropriate or damaging behaviour occurs on stages and in rehearsal areas. Find out what constitutes harassment and what you can do if it happens to you or a colleague, and how the Not In Our Space! campaign aims to stop harassment before it starts. Dance Equity Campaign to Launch to Launch Summer 2017 - Read how Equity is reaching out to independent dancers to ensure they are protected and compensated fairly. Equity Census Update: Get more in-depth information from the 2015 Equity Census with a new analysis of earnings based on gender, ability and sexual orientation. Keeping healthy and safe in live performance is both an obligation on the part of your engager - and a responsibility on your part. In this issue of EQ you'll learn what you should expect from your engager, and what you can do to stay safe. 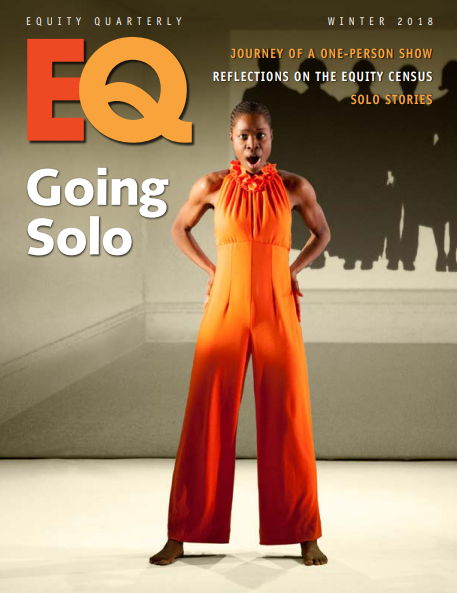 You'll also hear personal tales of how Equity members have stayed safe on stage. Plus, find out how to make your RRSPs work for you, and uncover more illuminating results from The Equity Census.